Sentiment toward miners flipped in early 2016: having seen capitulation in 2015, from January this year investors have been moving back to mining, tempted by recovering metal prices (especially in gold), miners collective new regime of financial and cost discipline, and a lack of growth opportunities across the broader market. The reaction, especially for gold stocks, has been extremely strong. As the chart below shows, The Lion Clock is at 7 o'clock. The recovery in investor sentiment procured fresh liquidity to the mining sector. Earlier this year equity performance and the general improvement in moods was sufficient to call the start of a new boom. In a few short intervening months, this liquidity has facilitated not only continued equity price performance in gold companies, we are now seeing sentiment "rub off" onto non-gold miners, and equity capital raisings are becoming more sizeable and plentiful. A crucial indicator of liquidity is initial public offerings (IPOs) - you just can't execute an IPO in a poor market. In 2016, there have already been more mining IPOs (YTD) than 2015, and there are now a number in the barrel, ready to list or soon to lodge documents. Anecdotes strongly suggest that capital raisings for recent IPO deals has been unchallenging, and the performance of the few recent listings has been largely positive, indicating that overall investment demand for the deal exceeded the IPO stock on offer. 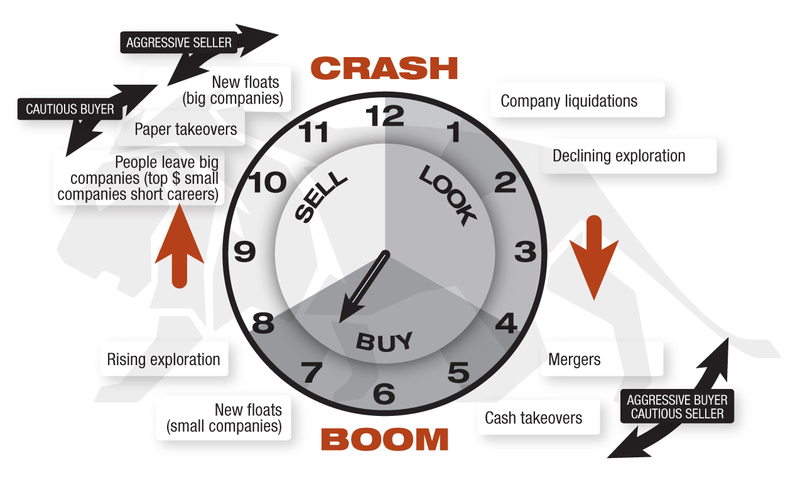 The Lion Clock is a representation of market behaviors as investor sentiment and liquidity change through the cycle, and the opening of the mining IPO market is a clear indication that we are now at 7 o'clock. The liquidity tap is back ON ! This article has been timed to coincide with the annual Pitcher Partners Resources lunch, taking place in Perth on Friday 19 August. The centerpiece of the event is a discussion panel, which Lion are privileged and very pleased to have been invited to attend. This discussion is well known for teasing out pertinent issues, which are plentiful at present.